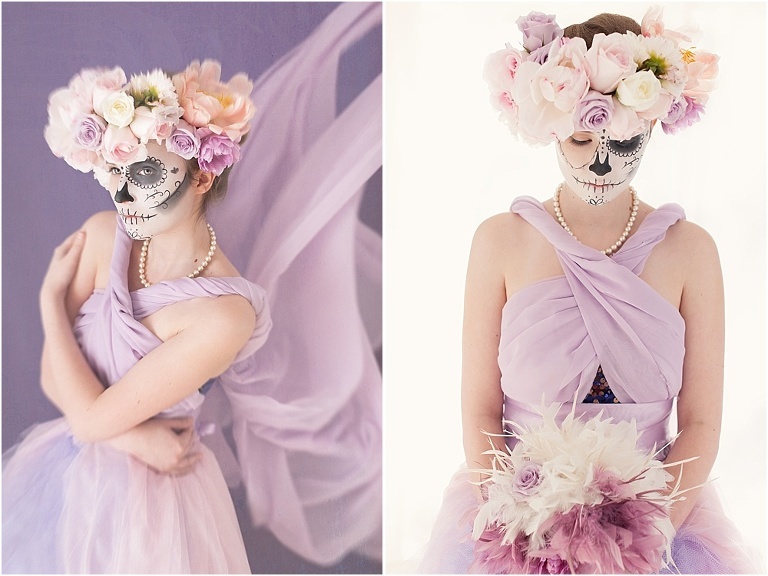 Even though this sugar skull shoot took place four years ago, it still holds a special place in my heart. When I originally shot this, it was a dream come true. I initially shared part of these images on my photography business blog and then on my lifestyle blog, ANNAdventure. It is such an amazing opportunity to be able to come together with other incredibly talented artists to make a collaboration shoot such as this one. 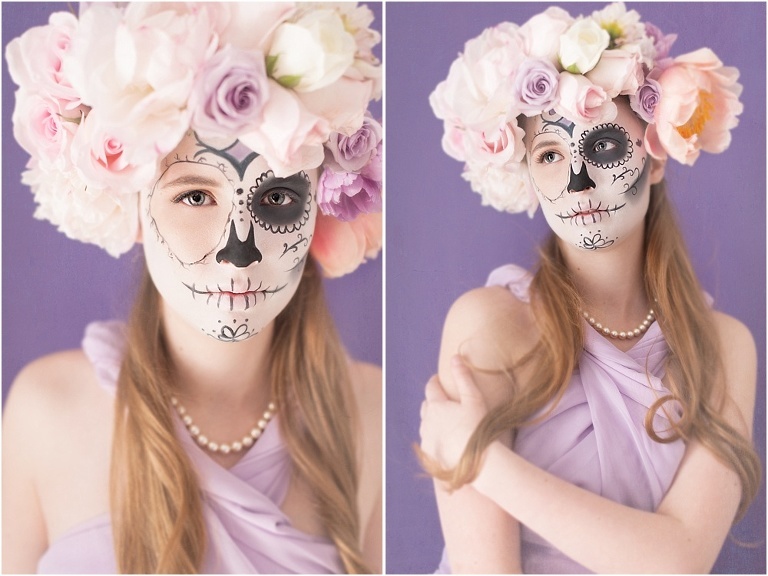 My colleague and friend Suzanne (responsible for the sugar skull’s hair and makeup) came up with the general concept. I tied it all together by creating a storyline that encompassed the looks that Suzanne wanted to create while designing the wardrobe and photographing it. Maribel, an incredible floral designer in DC, added the magical finishing touches with her beautiful fresh floral pieces. This creative style of photography is what fuels my soul! I am so grateful to Suzanne for voicing her desire to do this and to Maribel for agreeing to collaborate with us. 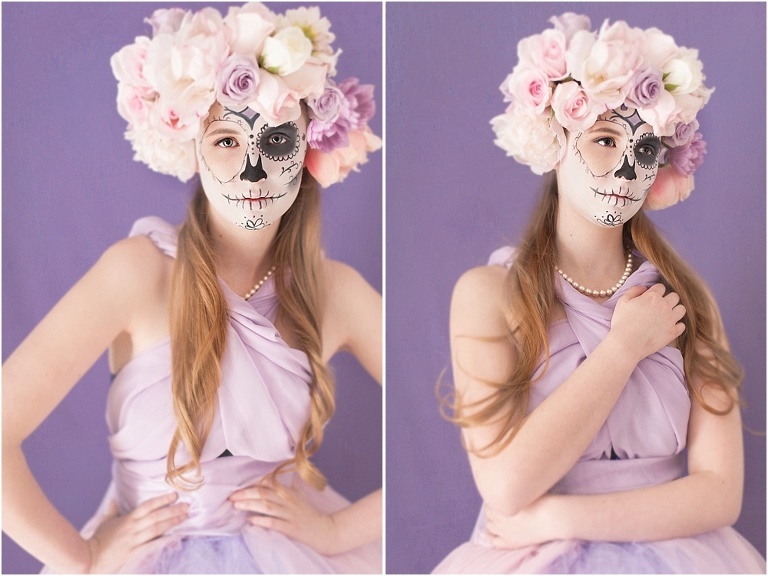 This sugar skull shoot had two purposes: the first was to showcase our skills and the second was to photograph a woman transitioning from alive to dead with a good vs. evil undertone. For the first look, I wanted the makeup application to be more ethereal, soft and dream like – almost angelic. For the second look I wanted the makeup application, lighting and wardrobe to be more dark, dramatic, punk rock and fashion inspired. Almost like a heaven vs. hell theme: one very light and airy and the next very dark and deep. I decided to tie this transition together by using an apple. 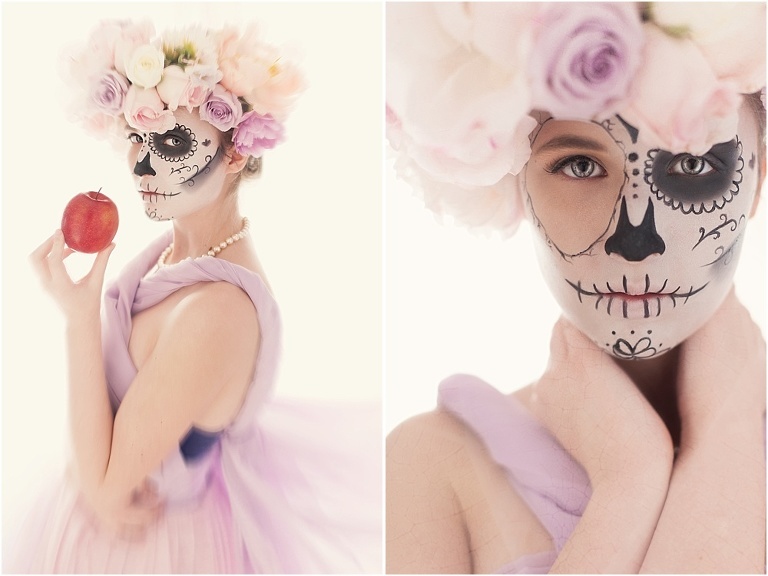 The apple has been used throughout several stories (Snow White and Adam and Eve) as a symbol of change and I thought it would be the perfect object to symbolize the change we were looking to photograph in our sugar skull glamour portrait shoot.